Through its integrated energy and environmental management, Pilz is constantly monitoring its energy efficiency and environmental performance in order to detect weaknesses and avoid waste. The aim is to continuously improve energy efficiency and environmental protection. Since March 2016, Pilz has had an energy management system in accordance with ISO 50001 and an environment management system in accordance with ISO 14001. They are used to constantly implement the objective of working and producing in an environmentally friendly and energy-efficient way. Suppliers are closely involved in Pilz's management of hazardous substances. The issues of energy efficiency and environmental protection are additional deciding factors when procuring products and services. 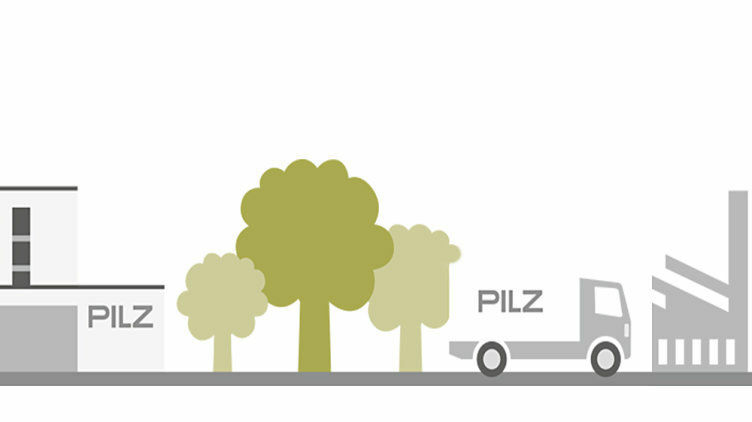 Pilz packages its products in 100% recycled paper. This saves raw materials and minimises film waste. The use of geothermal energy in Pilz's new building saves CO2, along with building core activation in the Peter Pilz Technology Centre. A photovoltaic system is used for power generation. There has been a sustainable improvement to the pollutant balance by converting to lead-free soldering. 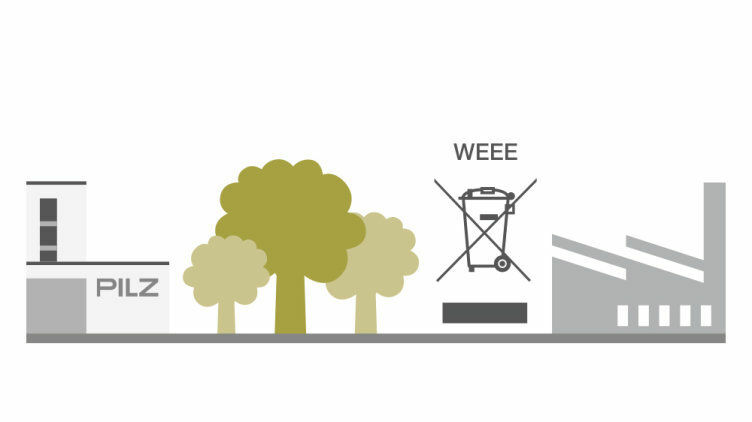 Directive 2012/19/EU on WEEE (Waste of Electrical and Electronic Equipment) was issued in 2012. This European directive deals with the marking and taking back of electrical and electronic equipment by the manufacturer, among other matters. It is intended to ensure that the equipment is properly disposed of or recycled. Since Pilz products likewise fall within the scope of this directive, all international subsidiaries subject to this legislation are registered locally and offer their customers a disposal solution. Please refer to the respective national Terms and Conditions for details of how the legislation is actually implemented. 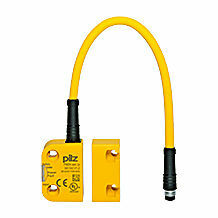 Sustainability is a key part of Pilz's company principles. It is a declared company objective to develop environmentally friendly products using ecological materials and energy-saving technologies. Energy efficiency is one of the specific demands that the development department places on new products and ongoing technical developments. This ensures that the issue is considered early on in the product lifecycle. This applies to all control systems, relays and sensors, as well as functions relating to actuator technology. Up to 80% less energy consumption than comparable products. 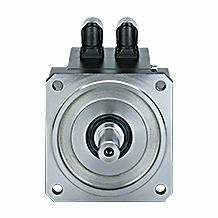 The servo motors are up to 20 per cent more efficient than IE3. Up to 30 per cent less energy consumption than comparable products. 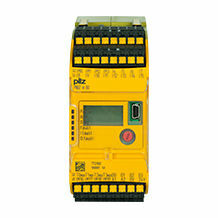 Pilz is a member of the Blue Competence initiative, a VDMA sustainability initiative. Blue Competence establishes network links for the mechanical engineering industry in the area of sustainability and pools the resources, expertise and strengths of the VDMA. 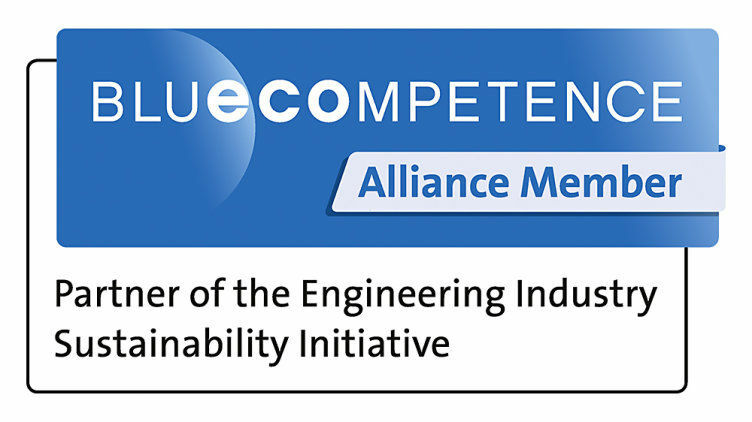 With our partnership, we undertake to comply with the 12 sustainability principles of mechanical engineering (www.bluecompetence.net/about). 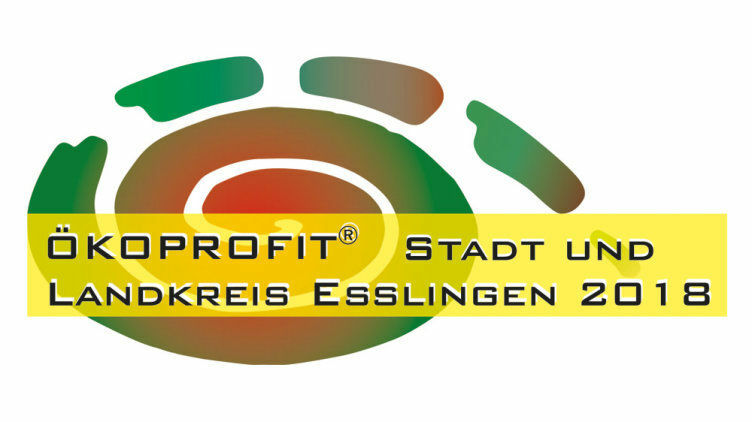 Since 2007, Pilz has been awarded the ÖKOPROFIT seal for its environmental protection activities by the town and district of Esslingen.